It was recently when the team in Boon Siew Honda of Malaysia contacted us to attend an unveiling event for the media of their new machine on the market. Without any surprise to this writing, the machine being mentioned here is the new Honda Wave Alpha. As always, we weren’t the first guy to talk about the machine and frankly, we don’t really care about being the first to share our opinion on it. The event was held at Pullman Hotel Bangsar, Kuala Lumpur and with all the big guns of Boon Siew Honda present to support the launch. So what do we know about it? Well the first thing we know for sure is that the name is Honda Wave Alpha and it came with a tagline of “The Urban Dominator”. Oh yes we will talk about that bold tagline later but before that, let’s just go through some of it’s features. According to the official information given by Honda, the bike will be targeted to everyone with it’s astounding features such as great performance and savings for the fuel usage. 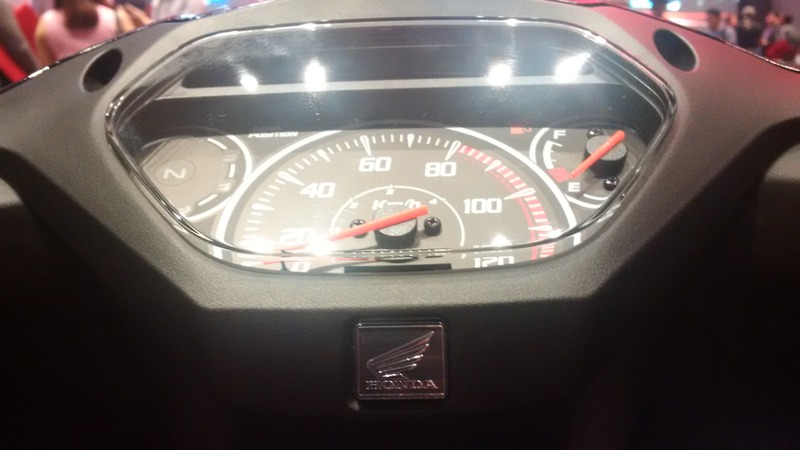 It also comes with a “great speedometer”, a sporty designed exhaust and a U-Box storage area. All that for a maximum net selling price of RM4,556.94 inclusive of GST. So now that’s pretty much covered, let us share our opinion on the machine when we first look at it. In a glimpse, we’re sure that it won’t be a head turner of any kind. The design looks like it still stuck with the scope or range of every single machine in the moped category nowadays and that’s kinda sad. Because we felt that this category has becoming overly saturated with nothing more exciting to look at and even if there is; it won’t last that long. So apart from the design, the basic necessity of the machine comes well expected in the class that it sits in; we’re not an expert of any kind but we felt that there are plenty of others that has the same package as this one. We understand that it produces more power output than the previous Wave model and some of the other competitors; but let’s be honest, this is still a moped and it won’t be that much of a different. If a consumer is going to make a purchase decision based on performance without the price tag in question, most of them would just jump the capacity class all together and saves up more money in the long run for a better well rounded machine. 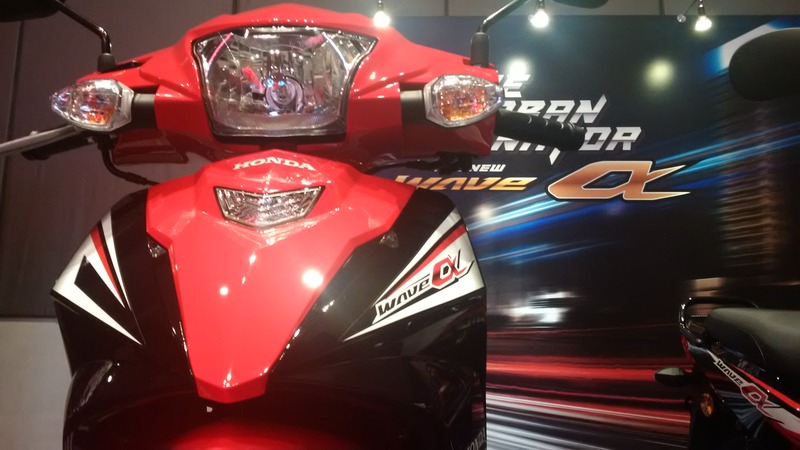 So the new Honda Wave Alpha here is getting into a very tough and highly competitive segment for sure, and they are well aware of it. 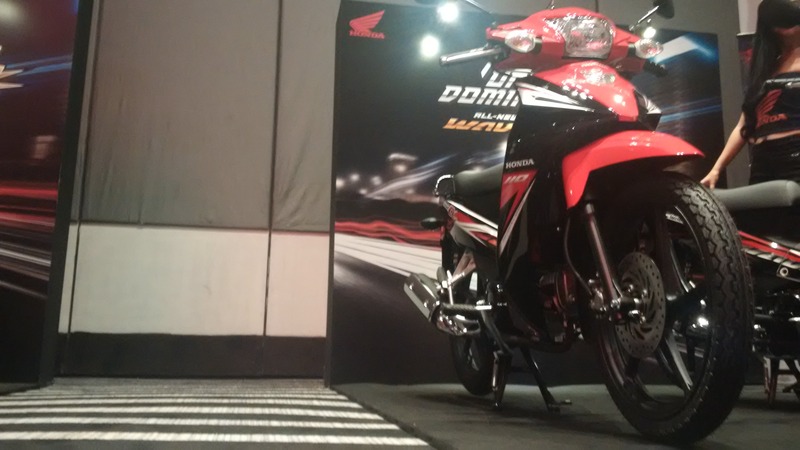 Not only that, Honda has the confident that it will be a dominator of the urban scape all over the nation. It was made available to all their dealerships nationwide on the same day of the bike’s launch and we are curious to see how far it can go to dominate the urban market. We’re pretty sure that the bike has a great deal of quality into it even if it doesn’t look the part most of the time. But this is Honda we’re talking about, probably one of the most prolific brand in the world for a very tough and steady product. So if you’re interested to see more of the machine; we would suggest that you go straight to their dealerships and get a test ride on it straightaway. Feel how it suits your needs and your pocket of course. For more motorcycle news and contents in the future, we encourage you to join us on FACEBOOK and do watch some of our premium film content on YOUTUBE.